We have several different tent sites available depending on your preference. Some are closer to the bathhouse than others. Some are definitely in the woods. All have a fire rings and a picnic table. We have seven wooded tent sites located in close proximity to the bathhouse. They all have fire rings and picnic tables. Two sites have electricity and one of those has a platform for your tent. Two sites have a platform to pitch your tent on. The other three have level spots for pitching your tent. We have three large group sites. One is wooded and is a farther walk to the bathhouse. The two others are sunny and grassy and will accommodate a much larger group then the other site. They are also much closer to the bathhouse. All sites have fire rings and picnic tables. 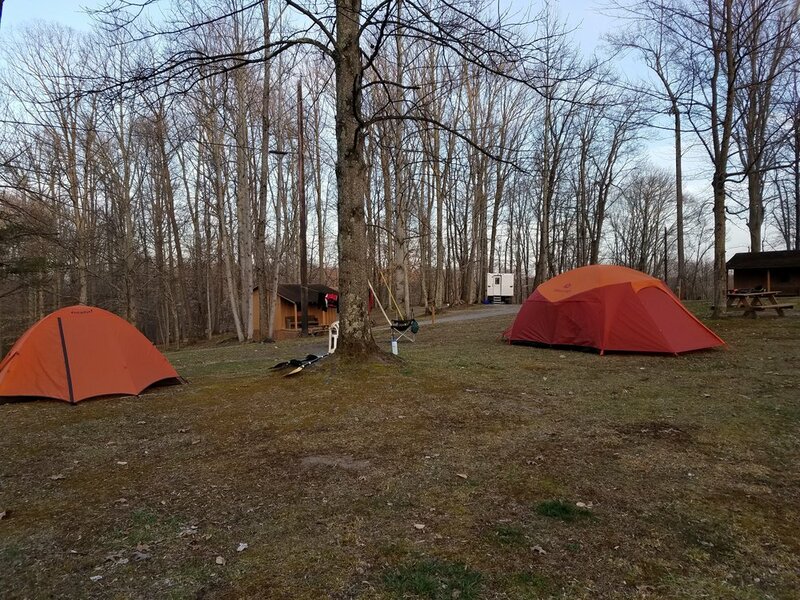 Our outback tent sites are located farther into the woods away from the main campground area. We have six outback sites. They all have fire rings and picnic tables. The sites have a level spot to pitch your tent. They are a short drive to the bathhouse.